Ad agencies know they’re getting it wrong, but not for the reason they think. Saying “advertising” isn’t connecting with “consumers” is only a symptom. Thinking in terms of “advertising” and “consumers” is the underlying disease. It was inevitable in a political season driven by marketing and positioning that post-election analysis would filter into the larger marketing/advertising industry. A recent article published in the WSJ discussed how ad agencies bemoaned the “disconnect” with Middle America. So much so that the CEO¬†of Leviathan agency network McCann Worldgroup convened a meeting of top brass to discuss the surprising election results. Have many ad agencies become disconnected from the people they are trying to reach? Yup. Does it have anything to do with some formula that balances coastal elitism with red state values? Not by a long shot. In this case, the fault lies with the paradigm under which ad agencies/marketers continue to operate. The issue isn’t missing the mark on making a “connection” with people, but rather not appreciating how drastically the whole system itself has changed. Let’s say that you are a horse-and-buggy manufacturer circa 1910. You see sales decline. You learn that people are using the new fangled “horseless carriage” to go farther distances in less time, and seem to like this.¬†¬†The conclusion you then draw is to blame the decline on the fact that the horses being attached to your product aren’t of sufficient stamina to transport people as far as they¬†would like to go, as fast as they can. Your solution? Breed horses with more stamina. Or better yet, invest in breeding a new species of turbo-camel. 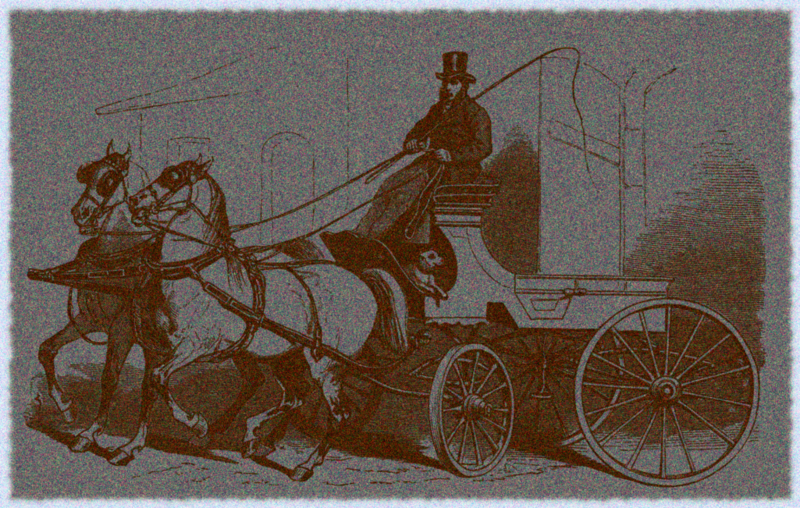 This approach will then make your core business for creature-drawn buggies relevant again. Sounds ridiculous, yes? In this scenario, the truth was that there simply was no more market for animal-pulled carriages. It wasn’t a matter of not “connecting” with people’s wants or needs, it was the fact the entire paradigm that¬†the¬†business was built upon was changed to the point that it wasn’t really identifiable as an enterprise anymore. At some point during the big bang that has littered the media universe with so many platforms, people became aware that they were viewed¬†as “consumers.” Prior to the bang, The BIG 3 TV networks and all the mass media iterations beforehand were basically marketing channels for products and services. Advertising drove content. Which was fine. People will take what they can get, and if I have to sit through six minutes of commercials to get 22 minutes of¬†Cheers, I’ll gladly do so. But the thing is, I don’t have to do that anymore. I don’t have to subject myself to ADVERTISING, at least not in the traditional sense. I’m now in control of my own content. I can schedule my own content, I can¬†create¬†my own content…hell I can even¬†distribute my own content. Now couple this with the shift that has occurred in the sentiment related to¬†goods and services. There are a couple of different macro-trends here that have been game changers. First, there’s a trend toward brands that have an underlying social purpose. From legacy social brands like¬†Tom’s Shoes and¬†Warby Parker, the landscape has extended to small companies learning how to do good and turn a profit, to larger corporations¬†leveraging their Corporate Responsibility initiatives for marketing purposes. To quote Frank the Tank from¬†Old School, EVERYBODY’S DOING IT. The other macro-trend that has occurred is the quality of content available to the populace. Netflix, HBO, Amazon, etc., have been HIGHLY successful in developing and producing a real quality product that is not advertising-driven. With the high price of the cable network model, folks are perfectly OK paying relatively small subscription fees to access super high quality content, on-demand, and often without ads. And this isn’t just video, either. The same goes for music and some “print” content. As this trend proliferates, smaller non-media companies that have been primarily product driven have¬†gotten¬†into this¬†space (e.g. GoPro and RedBull). Apple did it way-back-when with the iTunes store. So the lesson here is no big revelation at all. What matters is CONTENT, CONTENT, CONTENT. And increasingly the content no longer exists to house advertising pods. The content is standalone, and many marketers and agencies don’t treat it as such. That’s where the change has to be made. That’s the engine to stick in your horse carriage. The media habits of Middle America aren’t that different from the coasts. Content that is popular in Palo Alto is also popular in Peoria. Yes, there are some regional variations, but as a whole, we are fairly homogenous in the types of content we consume, and create. And “create” is an important component of this, because we all now have a platform that, from a technical standpoint, puts us equal to NBC, ABC, or CBS. The reach of those networks PALE in comparison to the number of people who use Facebook, Twitter, and YouTube. Forget “advertising.” Forget about trying to define your audience as “consumers” of your product or service. These are outdated concepts. The people want narrative, and increasingly interactive narrative. Soon this will evolve into immersive narrative. My advice? Start there, at narrative development. Then weave in brand messaging as it fits the story. You aren’t an ad agency anymore, you now have the opportunity to truly be a¬†creative shop…as in “creation.” You aren’t a marketer anymore, you a developer and producer of content into which your brand nicely fits. No more connecting with “consumers” through “advertising.” That’s not just a lesson from election 2016. It’s the trend that we’ve all been lax to recognize and slow to adapt to. But those of us who are will be real winners.